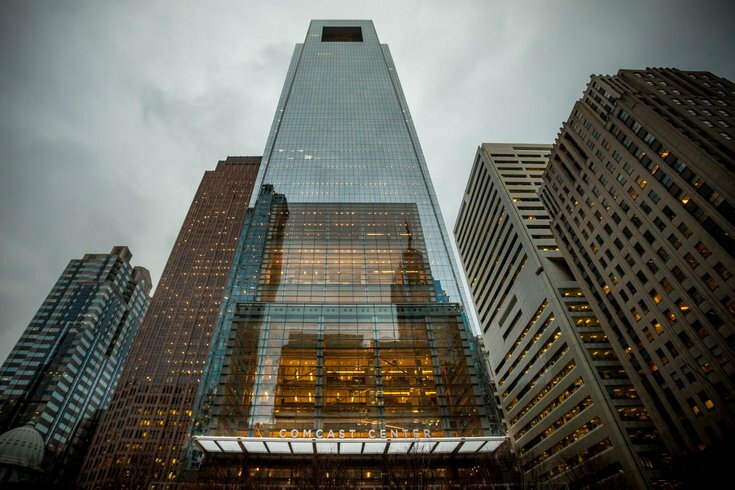 The Comcast Center in Center City. Comcast’s latest expansion could mean better-run cities for all. Comcast unveiled its enterprise Internet of Things (IoT) service and platform machineQ for a trial run in only Philadelphia and San Francisco late last year before later expanding to Chicago. Now the provider announced Tuesday that it’s ready to expand to a dozen major U.S. markets, including Boston, Washington, D.C., Miami and Seattle. What do Comcast’s in-house smartphone sales mean for your bill? As part of the service, Comcast and its commercial partners try to enable businesses and cities to better gather and analyze data about the operation of connected devices throughout their location. The goal is that with this easier access to vast amounts of data, city leaders and organizations can make better decisions to benefit constituents. So far, machineQ has been particularly popular in healthcare, automotive and city management, with users applying knowledge from data collected to update their practices and policies. "We've seen excitement about a Comcast solution that is opening a whole new world of use cases that were previously not commercially viable due to the cost of connectivity and end devices, limited battery life, and inability to get coverage,” Khorram said in a statement. Other cities with machineQ on the way include Atlanta, Baltimore, Denver, Detroit, Indianapolis, Minneapolis/St.Paul, Oakland, and Pittsburgh.